Gathered from the hundreds of high-performance leaders I've worked with, listed below are the top 10 qualities of good leadership that set these men and women apart and make them high-performance leaders, rather than just managers. That isn't to say, that these men and women don't make use of the other 50+ leadership traits, qualities and characteristics, listed over at the good leadership skills page. But what it does mean is that, the leaders who are at the top of the game ... the cream of the crop, if you will, are VERY, VERY good at using the leadership qualities listed below... every day. Do you have what it takes, or at least the desire, to have what it takes, to be a high-performance leader? As you read through the list, take some time to think about how well you are doing in each area. Don't just read the list. If you are a leader, who wants to make a positive dent in the universe, then make a decision to strengthen your capability in one or two areas. Trust is the basis for all the relationships in your life. Without trust, it's impossible to create healthy and productive environments, either in work or personal situations. When people trust you, they are more willing to give their best, as they know that they always get your best. This leadership quality is sometime referred as integrity or honor, but all these terms have the same basic meaning: you say what you do and do what you say ... period. This is one of the qualities of good leadership that you really want to master. The best leaders are really great at watching how others are reacting to them and fine-tuning what they are saying to ensure that they are building the relationship. This doesn't mean that they change their minds every second to get people to like them. Rather it's about finding other ways to say things so that the person they are interacting with wants to work with them and not against them. The master leaders' know that the power is in the relationship (which is why a lot of the site is dedicated to building relationships!). And all relationships begin, and end, with what others think of you. I'm a real fan of the DISC profile system, because it helps you to understand your impact on others, and gives you the tools to adjust your style so that you can get through to others ... so that they are in the place to 'hear' your message ... which stirs them to respond favorably to you. If you aren't learning, growing, expanding then you certainly can't expect the people around you to be learning, growing and expanding either! One of the things, that seems to set all the great leaders apart, is their absolute commitment to stepping into their potential and discovering ways to be the best possible version of themselves. I don't know about you, but I've yet to meet a leader that is considered to be at the top of his or her game, who doesn't read, listen to audios, go to courses or share what he or she learns with others. They certainly don't sit around waiting to be sent on some corporate course. And, here's the biggest distinction I've witnessed. They seem compelled to learn, grow, expand and, yet, they also seem to be very content with who they are as an individual. It is kind of like they have this mantra 'Happy with where I'm at ... but not settling'. There is no sense of desperation, or not being good enough. More, it is am intense curiosity and a deep knowing that the reason we as humans are on this planet is to grow, learn, expand. One of my favorite sayings is "if you aren't growing then neither are your people" (and you can quote me on that ~wink~). A high-performance leader stays relevant, by making sure they are at the leading-edge in terms of leadership skills, interpersonal skills and knowledge in their organization's field of expertise. 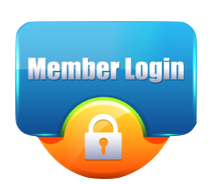 Discover more about ALL the VIP resources on this site - you'll discover new ideas and tools to help you be at your best. 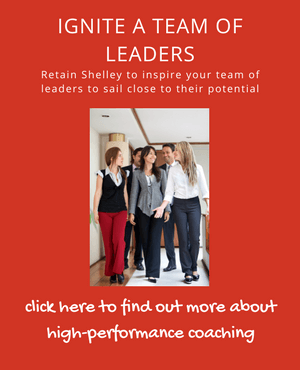 Click here to discover how hiring me as your Coach will help you sail closer to your potential and bring your people along with you. You might not think that how you feel about yourself has a whole lot to do with how others perceive you, or how effective you can be at taking charge, of a group situation. However, it would be a huge mistake to make this assumption. Every individual is either their own best friend, or their own worst enemy. How you feel about yourself often leads to subconscious patterns. Those with a negative self worth, may have many other great leadership qualities, but sabotage their own efforts with a deep belief that they aren't good enough to carry the day. It's interesting, but almost without exception, the leaders that I have coached (and that is in the high hundreds in one-to-one coaching, and thousands in workshop situations), have at some point struggled with their self-esteem. In coaching sessions, time and again, leaders have asked me to help them work through situations where their self-belief is hurting them. For most leaders, this is just a momentary/situational thing, and not something that dominates their lives. But, even in those momentary lapses, do make sure that you have the skills to recognize when its your self-worth thats creating a problem, and make sure you have the tools to pick yourself up and get back into the game with a healthier perspective. I suspect self worth is one of those qualities of good leadership that most people will glide over ... I'm okay with that ... just make sure on those times when you take a hit, you've got the skills to get back in the saddle fast! You may find the article on the Prostitute Archetype a valuable article to read if you think that at times your self-worth has caused you to behave in ways that may not be to your best benefit. If you aren't excited about the journey ahead, how on earth will you excite those around you? Now this doesn't mean you need to go all cheerleader. But it does mean that you get out there with a spring in your step, and a vibe of passion, urgency, desire, energy and animation that others just can't help but be compelled by. As you read the pages on this site, it won't be hard for you to guess that I'm a real fan of Richard Branson. He really embodies this quality of good leadership in bucket-loads. You just know that he's thrilled to be alive, and seems to bring that sense of thrill and curiosity into everything he does .... whether that's ballooning, building the Virgin Brand, working with a kid in an orphanage or talking to a passenger on a plane. I contrast Richard's out there, extroverted style with one of the leaders that has most inspired me in a work situation. He was almost the complete opposite of Richard, quiet, more serious than cheerful, considered in his thinking. But did he ever have belief in what we were doing, and he was 'quietly' thrilled by the journey we, as a team, were on. This quiet sense of destiny and purpose that he brought in to our team inspired all of us. It simply meant that the rah-rah stuff he left to those of us in the leadership team, who were higher up on the extrovert scale, and he would come quietly behind reinforcing with all the team members that this was a special moment in their life, and to be excited by the possibilities of where we were going. And, his quiet style did embed in each and every one of us a sense of meaning and joy about what we were doing! So what's your vibe? This article may help you make sure you are setting the tone you want in your team. When something goes wrong, great leaders step up and acknowledge their part in it, and don't fall into the trap of trying to shift blame elsewhere. They'll focus on fixing the problem not fixing blame. They are also very good at handling mistakes - either mistakes they make or mistakes made by others. Read more about how to handle mistakes. The Solutions Focused Coaching model is very powerful. If you're the type of leader who wants to inspire your people to focus on being at their best, then this model is for you! The best leaders are loyal to those who aren't there. They don't engage in workplace gossip ... ever. No matter how well justified or frustrated they may feel! You can assess the quality of your own (and others) character by the quality of conversations you have. High-performance Leaders build teams of superstars by being exceptional delegators of challenging work. They ensure that their people are regularly being challenged to grow and learn. They create the systems and structures that ensure people are always pushing the envelope of their potential. They fully 'get' that if people are bored they become de-motivated. Poor motivation leads to low morale which leads to poor performance. 9. High-Performance Leaders Have An Open Office. Good leaders make it easy for their people to interact with them. Great leaders aren't into the power trip of having to have an office where others must come to them. They understand that having open plan offices enables them to be in the hub with their finger on the pulse ... providing far better results in terms of communication and camaraderie. The very best of leaders help people to see that what they do makes a difference. They put into place the structures, systems and principles that enable people to feel challenged by what they do, a sense of ownership in their part of the process and they regularly make use of their talents and strengths. Get more tips on engaging employees. high-performance Leaders Act From A Place Of Alignment. For me, this is ultimately what makes a good leader. A leader who takes the time to align with their Power Source (whether you call it God, Universe or some other name) and fully gets what it means to take inspired action ... and when it is inspired action it will be the right action!